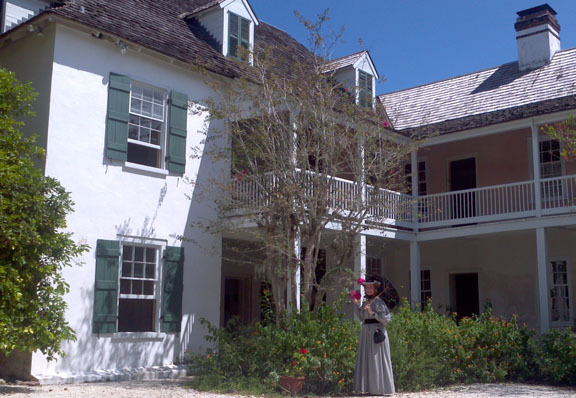 Ximenez-Fatio House will be one location for the Seminole War Convocation. SAINT AUGUSTINE – A three-day convention of Seminole War historians begins Aug. 12 making the 10th annual commemoration of the end of the 2nd Seminole War. A parade, ceremony at the pyramids at the National Cemetery and workshops, lectures and awards will mark the event, organized by the Seminole War Foundation, Inc. In 1842, officers, soldiers, and musicians paraded through the streets of St. Augustine to inter the casualties of the war in the gardens of the St. Francis Barracks. Three coquina pyramids were erected in the cemetery at that time to mark the burial place of more than 1,400 soldiers who died during those wars. The pyramids are known as the Dade Monument after Major Francis L. Dade, who was a leader in the Seminole Wars.. The parade and the commemoration Aug. 12, are free and open to the public. Other events during the Convocation of Seminole War Historians from Aug. 11-13, require registration. The parade begins at 10:30 a.m. Aug. 12. Other highlights of the three days include a living historian workshop at the Ximenez-Fatio House; an awards banquet at Ringhaver Student Union Theater at Flagler College with award-winning authors John and Mary Lou Missall; and talks by a variety of authorities ont he subject, including George Godfrey, president of the West Point Society of North Florida. To register and for information about all Commemoration activities in St. visit Facebookand http://events.eventzilla.net/e/convocation-of-seminole-war-historians-2138894235.